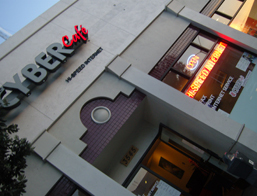 Cyber Café is one of the few Internet bars left in San Francisco’s Richmond District. Of the other three computer lounges that have closed down, this is the most popular place for competitive gamers who participate in the LAN battles and also a place for the common folk. They have by far the best performing computers for public use and very reasonable pricing. Cyber Café features a time card system, where the computers are unlocked only if the card is put in. There’s also a timer, which limits you to the time you’ve purchased. If you’re use to slow WiFi, this café offers wireless-N Internet; one of the strongest and most ranged wireless networks. This is the only Internet bar I’ve seen that features such a system, so the customers don’t get itchy about the timing, and the employees can log who was where and when. However, with all this technology, there’s certainly a rip-off somewhere. Here are some tips to save some cash. When you buy a card, you put in a deposit for it. Many people return cards to the box where it says “Empty Cards”. Instead, ask for your money back. Buy time in large sums, because they throw in an hour or two for free. A major problem is their computer parts, because even though they have the same case, they have different components. Use the ones in the aisle, and not the grouped ones, because they haul a much better graphics card. Don’t constantly remove your card because every time it is removed, a minute is taken off the balance. -Although they sell food, it’s extremely overpriced so I recommend the gas station around the corner.